Despite the positive GDP report in Spain, EUR did not grow. Now EURUSD is under the influence of ECB meeting and Consumer Price Index. 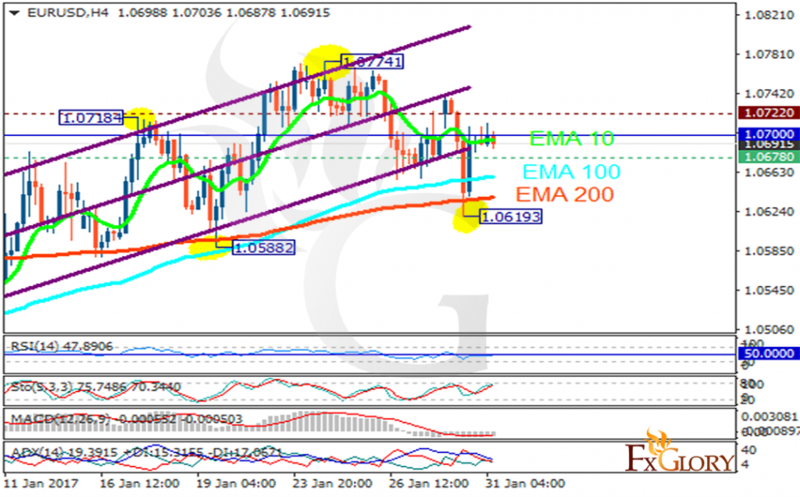 The support rests at 1.06780 with resistance at 1.07220 which the weekly pivot point at 1.07000 is located in between the lines. The EMA of 10 is moving horizontally and it is above the EMA of 100 and the EMA of 200. The RSI is falling below the 50 level, the Stochastic is showing upward momentum and the MACD indicator is in negative territory. The ADX is not showing any clear signals. EURUSD is moving with bearish bias targeting 1.065 area.